The Super-Pro SG3810430-1PDA 3/4 HP booster pump is the ideal pump to run your Polaris 480 PRO, 380, 280, and 180 automatic pool cleaners. 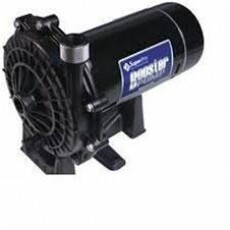 This is a booster pump comparable to the Polaris PB4-60 made by Super-Pro. The Super-Pro SG3810430-1PDA booster pump enables you to efficiently run your pool cleaner.